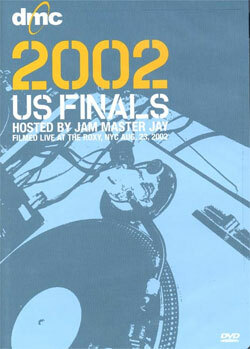 2002 US Finals, hosted by Jam Master Jay, filmed live at the Roxy, NYC Aug 23, 2002. FEATURING: --DJ's: Boogie Blind, Perseus, Precision, Scene, DJ Smallz, E-Jay, Enferno, Kico, Rocky Rock, Solution, Sprytle, Vajra. --Interviews with: Jam Master Jay, Grandmaster Flash, DJ Premier, & Red Alert. --DJ Swamp Video "Demon in Suburbs"
--Special Bonus Feature: Control the action with DJ Isocam. Alternate camera angle by using the button on your controller.